The LED system "LED Adapter" offers the possibility to integrate modern LED technology not only into "old," that is ordinary, lamp holders (like E27), but also into everyday products with the same kind of "socket," such as household bottles.The system consists of an LED spot and an attachment printed in 3D that can be screwed onto any household bottle with a standard screw top. 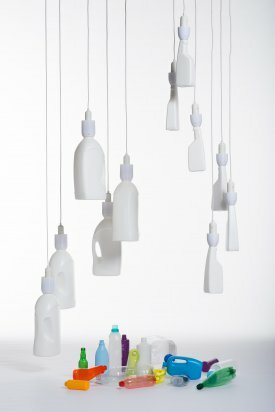 Just like the glass bulb before, the plastic or glass bottle becomes the light diffuser. 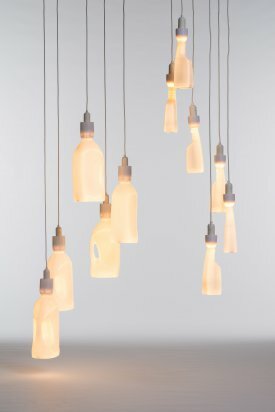 Thus transformed, the usually discarded household bottle, which comes in every imaginable form and color, is given a new and at times aesthetically fascinating function. A light bulb – just like the sun – gives off light in all directions. An LED, however, shines its light only in one tight angle, comparable to a spot light. 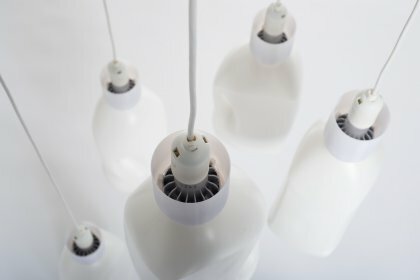 In order to achieve the light scattering of a light bulb, the manufacturers build a hemispherical opaque diffuser in front of the LED. 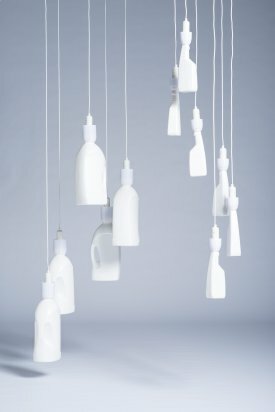 This breaks up the LED's spotlight and creates a wider angle for the diffusion, illuminating a room completely.